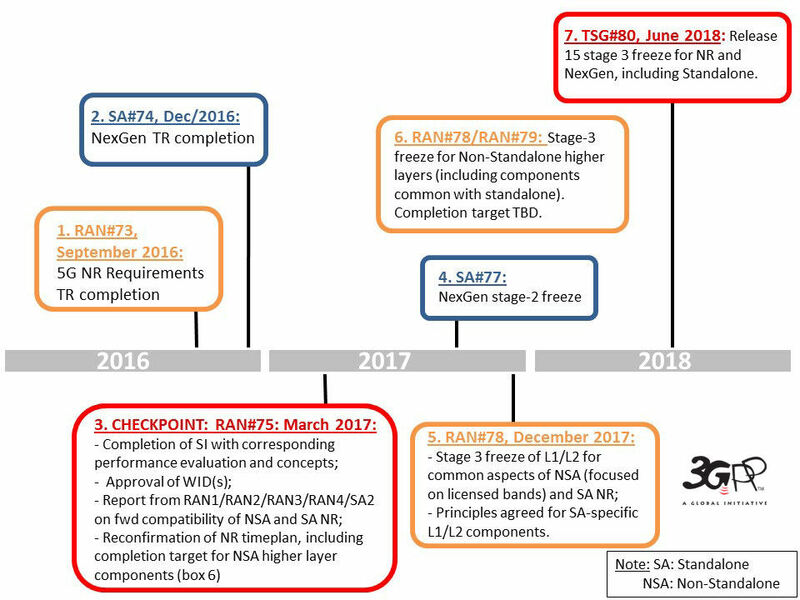 A recent plenary meeting of the 3GPP Technical Specifications Groups concluded with a series of milestones over the next couple of years culminating in the freezing of key technologies in June 2018. “We now have a more concrete plan to guide the studies in the Working Groups and to put us in the position to address both short term and long term opportunities of 5G,” said Dino Flore, Chairman of 3GPP TSG RAN. “3GPP continues to actively coordinate radio access NR and Next Generation system level work to standardize target services on schedule” said Erik Guttman, Chairman of 3GPP TSG SA.